The new Quicksilver Active 675 Open has arrived at Marine Tech! 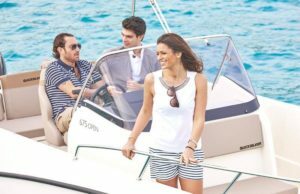 The Quicksilver Activ 675 Open has been designed with your favourite outdoors activities in mind. 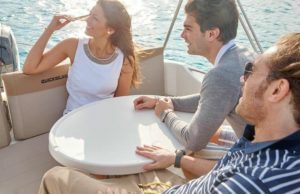 Want to do some cruising, light fishing or water skiing? Your wish is the boat’s command. The spacious bow also converts into a sun lounge and a dining area. Thanks to the pivoting pilot seats, it’s also possible to have a relaxed chat with the whole group gathered in the cockpit area. A compact cabin offers shelter and is ideal for taking a nap on glorious sunny days. 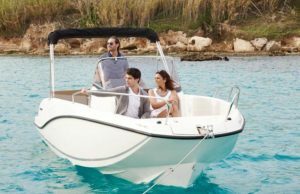 The sporty and dynamic design will makes head turn when you take to the water. Package price with Mariner F150 XL EFI 150HP from £38,852.00 In stock and available for immediate delivery! Other engines options available up to 225hp – please ask for details. We are agents for Extreme Trailers if you want to trail or store ashore! For full specification, please see our webpage or better still, call in to our South Walsham showroom to view!